This book should come with a health warning: unsuitable for first-time visitors to China, for they may well decide to cancel their trip. Even old-time China-lovers, such as myself, should proceed with caution, as some of the things you’re about to read may put you off going back there forever! Having suffered through some graphic descriptions of the unspeakable suffering, and the cruelties Chinese people inflicted upon each other during the Cultural Revolution; having shuddered at the inhumane way the death penalty is carried out and gasped at its utterly immoral connection to organ transplants, I found I had to keep repeating the words Dai Wei, the protagonist, says to his girlfriend, Tian Yi, as if they were a kind of mantra: “ ‘They aren’t evil, they’re just products of an evil system.’ ” (p. 504). Dai Wei is in a coma; unable to move a muscle, though aware of his surroundings and with his memory intact. Through his memories, he relives his life, from his early childhood, when his father returns from a 22-year stint in a series of reform-through-labour camps, to the fatal denouement at Tiananmen Square, during which he is shot in the head. At regular intervals, Dai Wei’s attempts to return to his past are interrupted by his awareness of present events – the visits of his girlfriend or friends, his mother’s comments – or interspersed with clinical observations on the deterioration of his own body, as he is after all a Biologist. 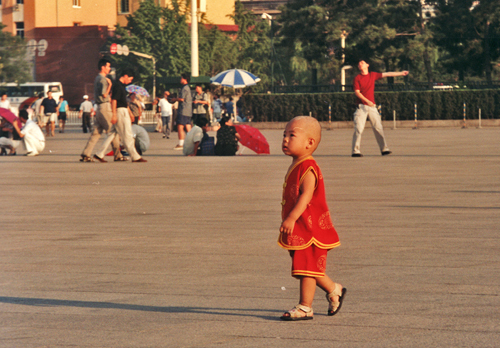 From his family history, childhood and adolescence, with a traumatic first arrest for ‘immoral behaviour’, we move gradually to his university days, first in Guangzhou and later in Beijing. At university, Dai Wei’s political awareness, a vague feeling of anger and frustration that until then had lain dormant, is shaken when he starts reading his father’s journals from his camp days. Over time, he becomes increasingly keen to shake off the ‘stigma’ of being the son of a ‘rightist’ and to make a success of his life in a better society. Dai Wei and his fellow students, all children of parents who suffered greatly during the Cultural Revolution, vaguely imagine this society as a place with freedom of speech and thought, freedom from corruption and oppression and justice for all. Dai Wei’s first year at Beijing University, where he is working on a PhD in molecular Biology, coincides with the beginning of Deng Xiaping’s open door policy. Encouraged by this apparent relaxation of the Communist Party’s iron grip, students all over the city start tentatively pushing for more freedom until finally, after the death of the reformer Hu Yaobang, the activities to commemorate his passing culminate in a full-blown occupation of Tiananmen Square. Once the students, egged on by the hardliners among them, embark on a hunger strike that causes the regime to lose face, it becomes evident that the movement is heading for a disaster. Back in the present, as Dai Wei’s physical condition changes and worsens, so does his mother’s mental state. A retired opera singer and staunch supporter of the Communist regime, the same regime that had driven her husband and several members of their families to an untimely death, Dai Wei’s mother experiences her own political transformation. 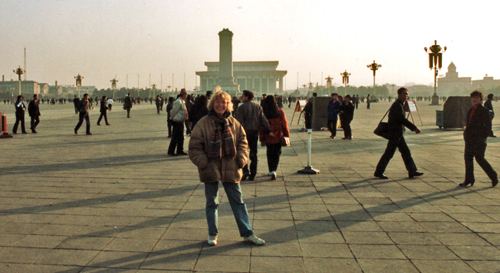 No longer prepared to meekly toe the party line, she first joins the Tiananmen Mothers, a group dedicated to gathering evidence of the massacre and commemorating the victims, and later the Falun Gong, a movement outlawed by the government as a sect. Meanwhile, from their occasional visits and phone calls we are able to gather snippets of what has become of Dai Wei’s fellow protesters and friends. 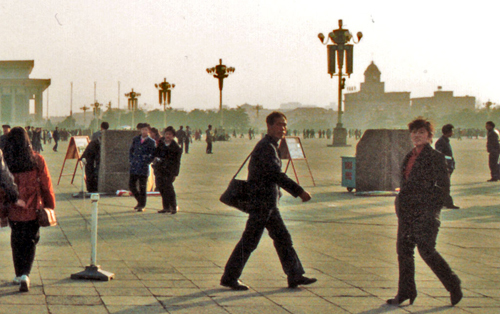 The scarcity of information about their fate is a reminder of the official policy of relentless oppression and the silencing of any reference to Tiananmen, as well as a source of tension for those left in the dark. Though, more often than not, the information that is withheld speaks louder than words. Through the eyes of Dai Wei, one of the organisers and student Marshalls, we witness how the student movement gradually, but almost inevitably, degenerates from naïve confidence in a postive outcome, through bickering, in-fighting and point-scoring between the different factions, to a state of utter confusion and chaos. Under his increasingly worried gaze, the students’ emotions soar from high hopes to unshakeable faith, only to plummet towards apathy, abject fear and terror. As the government hardens its stance, a realisation grows among the students that they are ‘trapped’ on the Square, no longer ‘the chess players’, but just ‘the pawns’ (pp. 406 and 408). The students Ma Jian portrays are not heroes, at the very least, many of them are confused about the movement’s aims and objectives, others are downright ambitious, deluded, or even obnoxious. Though it is hard to keep track of who is who with such a large cast of characters, the way Dai Wei remembers their smallest personal details, quirks, mannerisms, and body odours, or reminisces about their love affairs and arguments, does bring them alive for us. 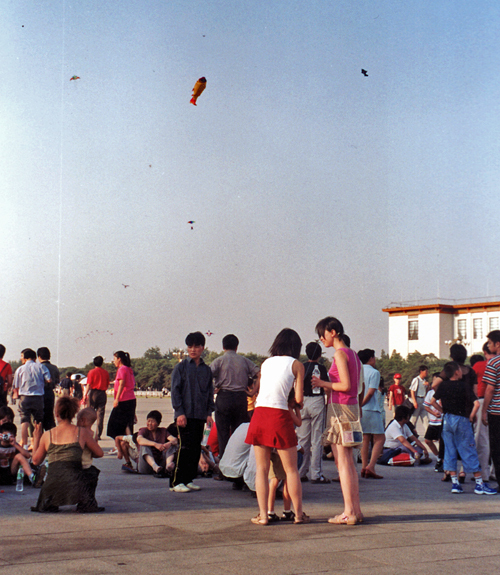 Finally, while many of the students may not be particularly likeable, we have to bear in mind, as Tian Yi says, that these are …” a generation of emotional orphans…” (p.477), who have grown up without the support, guidance or affection of their parents, who were too busy trying to survive the Cultural Revolution. And at the bitter end, their courage deeply moved me.